Micah Rauch is a multi-talented illustrator and graphic designer originally from Wolf Point, Montana. He has been living in beautiful Bozeman, Montana with his wife and two kids since 2012. While much of his work isn’t publicly visible, his most prominent projects can be seen throughout the greater Gallatin Valley. He is the artist behind the Streamline Bus redesign, multiple projects for Museum of the Rockies, and many other projects found throughout the community. Micah’s unique perspective into the visual needs and interests of Montanans makes him not only a versatile asset to his clients, but a stunningly innovative artist in his own right. Focused on freehand and digital illustration, Micah’s style and dedication to his craft has led to numerous accolades from his clients and creative partners at 45 Degrees North, an award-winning design firm based in Bozeman. He’s currently working on multiple illustration projects ranging from graphic design to children’s books to an assortment of personal projects. His personal art often falls into the realms of Sci-Fi and Fantasy and can be described as having a whimsical lighthearted nature. A graduate of Montana State University, he’s one of the few Montanans working in his creative field and his passion shines through in every project he takes on. For Micah, the art of drawing and painting has always been a very magical process. There is just something wondrous about the ability to transform a blank space with lines and shapes into something that has never been seen before or to stir a person’s emotions just from how a pencil has danced across a page. It has captivated him from a very early age, and one of his earliest memories of drawing is laying on the kitchen floor with a large roll of butcher paper and a mess of crayons and markers strewn about. Today he may not use a roll of butcher paper, but he can often be found with a sketchbook at hand and ready draw. 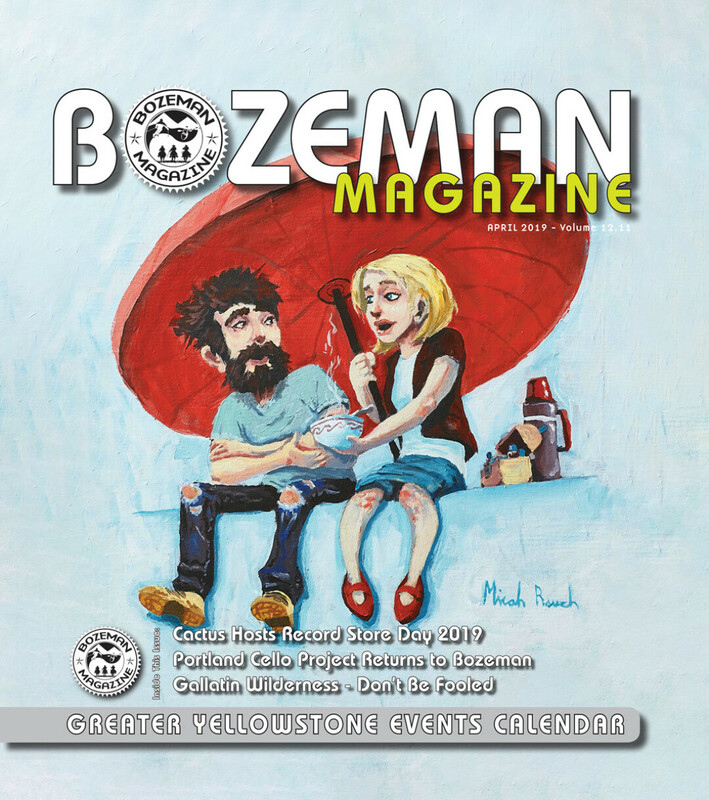 His painting included in this month’s edition of Bozeman Magazine was created for The Compassion Project. A project dedicated to bringing the Gallatin County closer together through the education of compassion and what it means and why it is important. Artists throughout the community had a chance to enter a piece of their own work based around the idea as well as a write up of what compassion means to them. The end product would be an exhibit of all of these works promoting compassion for each other in the community.